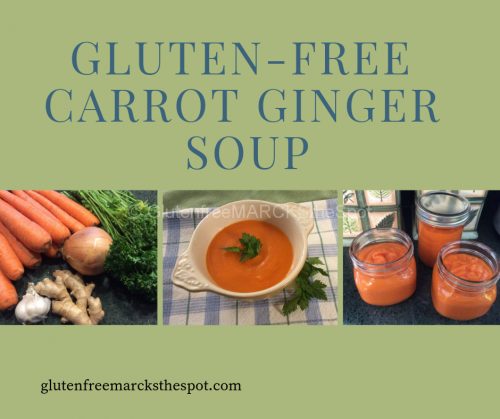 You won’t believe how easy it is to make such a delicious gluten-free soup! The beautiful color of this Carrot-Ginger Soup will add a touch of spring color to your table. This soothing, relaxing soup is perfect hot or cold. The simple ingredients offer lots of powerful flavor. Having digestive issues? The ginger helps sooth the belly. And, it’s a great soup to add to a detox. 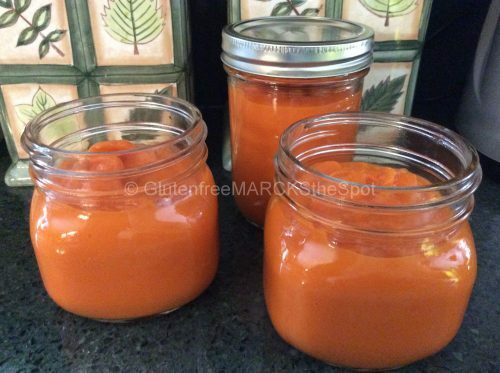 This Carrot Ginger Soup makes a great lunch or dinner with a side salad, or fresh baked gluten-free muffin. 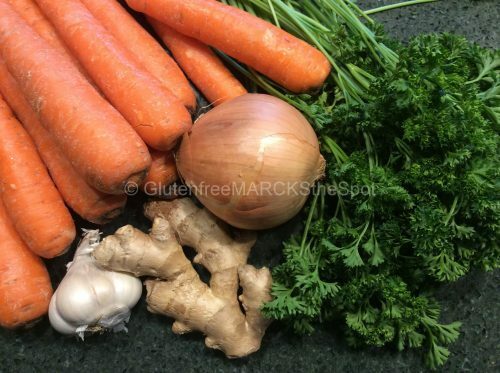 Simple ingredients: carrots, ginger, garlic, onions and water or vegetable broth. Simply saute the onion in a medium soup pot. Add in the rest of the ingredients and bring to a boil. Turn down to simmer for about 20-30 minutes. Puree once the carrots are soft. You’ll have a beautiful, colorful, delicious meal in little time with little effort! Make extra and freeze some for later – you’ll be glad you did! This is a beautiful, easy and delicious soup. Great to have on hand, especially if you have any tummy upset. Add the carrots, ginger and garlic to the onions. Cover with the water and bring to a boil. Reduce to a simmer and cook until carrots are soft, about 20-30 minutes. Puree with the immersion blender right in the pot, or puree in batches in your blender and return to pot. Take caution working with hot soup – you may want to let the soup cool a bit before using the blender method. To serve, top with chopped fresh parsley or cilantro. Be very careful when blending hot soup. If using an immersion blender, take caution. If using a blender, you may choose to let the soup cool a bit first, for your safety. Enjoy your carrot soup with fresh chopped parsley or cilantro on top. Serve with a side salad or fresh gluten-free muffin. Try the recipe and let me know how you like it! 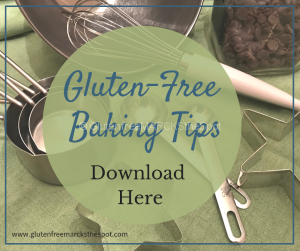 Looking for more delicious, gluten-free recipes? 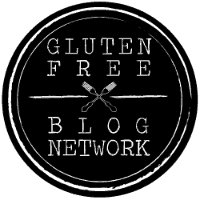 filled with all things gluten-free as well as recipes! 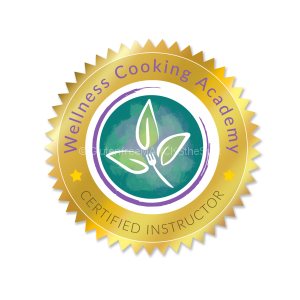 **Sign up today and get 5 FREE Easy & Delicious Gluten-Free Recipes! This entry was posted in Gluten Free Living and tagged easy gluten-free soup, gluten-free carrot ginger soup, gluten-free soup. Bookmark the permalink.